I sang the duet with Jet on his B Side hit “SOME PEOPLE” A side hit”THE MAN WITH THE GOLDEN ARM “MAIN TITLE THEME”. I was bass player in Jet’s new band The JETBLACKS after he left THE SHADOWS. I was so excited that it had charted as a B side hit although I would remain anonymous. ( Story of my life) Jet took me to ABBEY Road studios to add the harmony part to the song for producer JACK GOOD. Jack played a backing track for us to sing over and took maybe 30 minutes to complete after a couple of takes. The backing track was maybe by Valerie and the Eagles as they were involved with the film music. 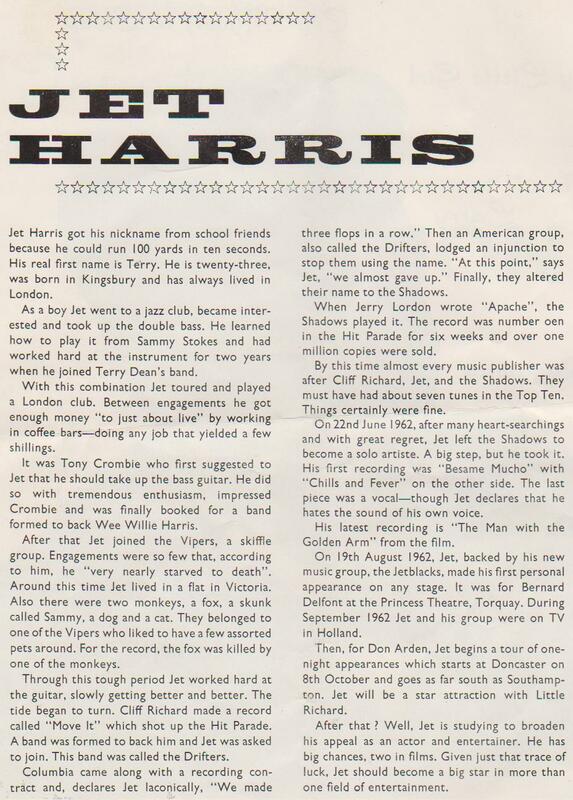 I have only just come to notice the Jet Harris/Terry Webster version was used in the actual film “Some People”. On our way to the studio Jet said the song was crap or words to that effect so I chuckled when he said if it’s a hit I”ll cut you in on the royalties. I never bothered to ask if there were any up to his dying day. Although we hadn’t spoken for 40 years I was surprised to receive an E mail simply saying ” Hello Terry, How are you?” I replied but he never answered and that was it, two years before he passed away. My sister and me hoped to see him at Wakefield Theatre Royal but he was too ill to appear. As the years have flown it was assumed on Internet sites that Tony Meehan was the other voice on ‘Some People’. 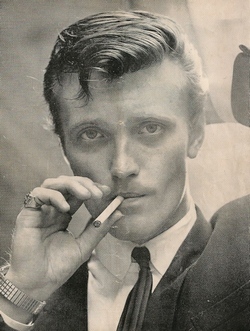 Tony was not a vocalist and not too involved with the early Jack Good productions until “The Hully Gully”. Jack went to America which I suppose would lead to to Tony taking over. It is quite amusing to see the actors in the film miming to our voices, especially as one of them is a girl. Our JETBLACKS line up was featured with Jet on the Brit film ‘Just For Fun ‘ playing “The Man From Nowhere”. Me bass guitar, Jim Ellis Drums, Pete Carter guitar, Dave Quincy tenor sax, Glen Hughes baritone sax. 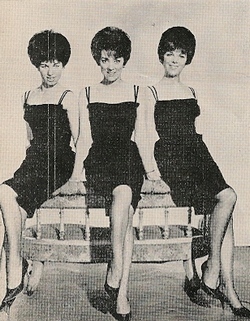 Before our personal involvement with Jet, my sister and me were Patti Brook and the Diamonds. 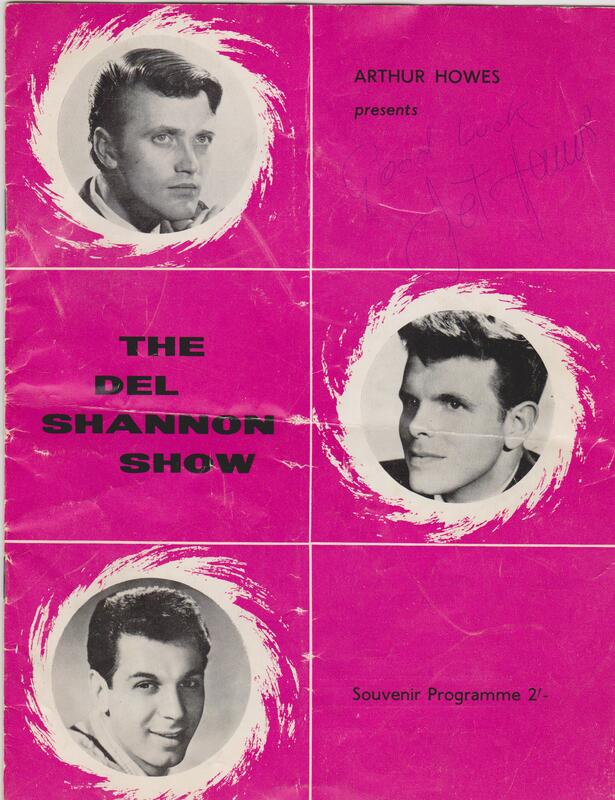 Like a dream come true we were part of the first Shadows tour without Cliff after their monster hit ‘Apache’. I was totally in awe and although the Shad’s were really friendly my shyness kept me at a distance but enjoying the experience. Our band from Wakefield wasn’t really good enough and it was a matter of time before we had to split. I used to dream of a band who could do vocal harmony without me showing them note for note. (In later years the Rockin Berries fulfilled that ambition.) I stayed with my sister for a while on guitar and vocals but I thought she could manage better without me so I left her to a solo career, I went back up north to various day jobs. 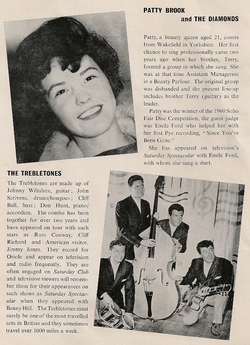 Patti toured with famous names of the time. 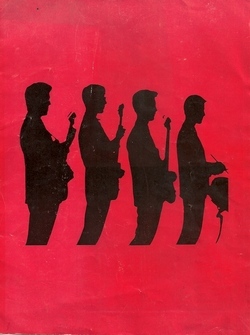 Cliff and the Shadows, Lonnie Donegan and even The Beatles. 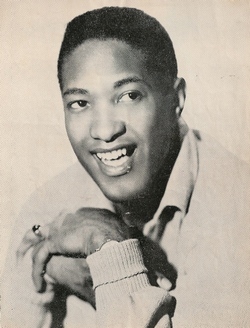 While Cliff and the Shadows were on a summer season in Blackpool 1961, Jet confided in my singer sister Patti at the beginning of their relationship that lasted almost 2 years, that he was leaving The Shadows. There was a vacancy in his future band The Nite Sounds who needed a guitarist that could sing. I’m free!! Off to London I auditioned at Fulham’s Cafe Des Artistes (Twist Club) and got the job. Not long after the band was re formed and re named The Jetblacks. I asked Jet if I could switch to bass guitar and he consented. Although Jet was a big star his car was a humble Ford Zephyr and I was struck at his ordinariness after telling me he had a brick handy near his accelerator… a sort of cruise control for the long journeys back to London. (No motorways then) Jet had moved back in with his mum and dad who were a lovely down to earth couple living humbly in their terrace house in Wilsden where we were always welcome. Here we went through ideas for his stage show. Thanks to Bradford Timeline’s amazing website for posters relating to our exciting tour times. There were only pictures of Patti used for publicity. Jet with Terry’s sisters Patti and Jean and with Jean’s 12 year old son Graham Jet loved to come up North and visit the pubs along with my sisters and brother- in law John who was a good drinking partner. I was proud to audition on guitar and vocals for a place in Jet’s new band at the Cafe Des Artistes a basement ‘Twist’ club in Fulham and be accepted. 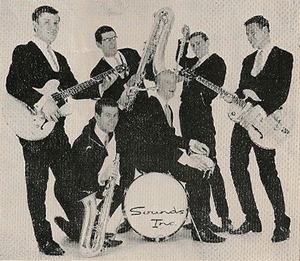 The ‘Nite Sounds’ band was supposed to go to Germany to get ‘worked in’ but the leader of the band turned out to be unreliable and the promise of Germany was a big fib, so an emergency band was organised thanks to guitarist Barry Lovegrove from Heston Middlesex who knew a few musicians . This gave us tenor sax player Dave Quincy and baritone sax man Glenn Hughes. Barry had a drummer mate Mick Underwood who was only 16 (Mick, years later became a top rock drummer with The Outlaws,The Herd, Iain Gillan of Deep Purple.) This is the only picture I have of us all together with Jet. 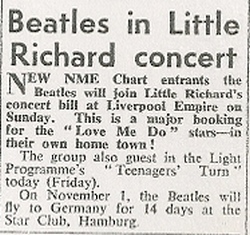 The cutting from Melody Maker 1962. 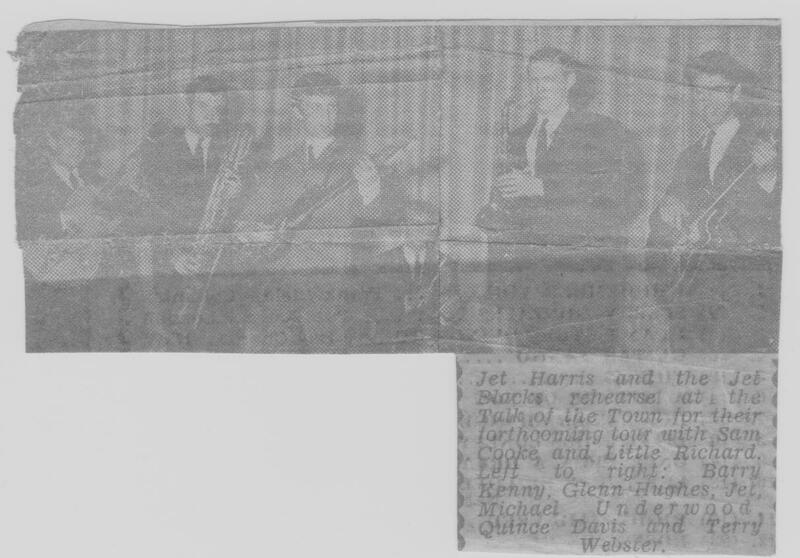 Reads: “Jet Harris and the Jetblacks rehearse at The Talk of The Town for their forthcoming tour with Sam Cooke and Little Richard. 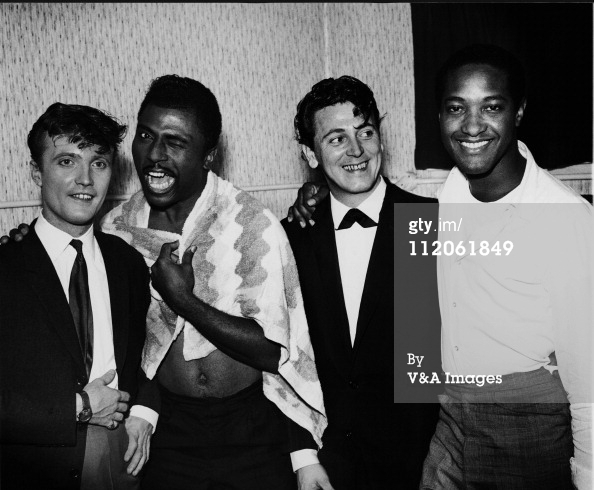 Left to right: Barry Lovegrove Glenn Hughes Michael Underwood Quincy Davis and Terry Webster”. 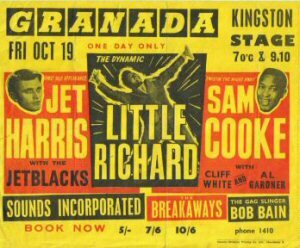 16 year old Mick Underwood was like me quite inexperienced but the jazz loving sax men felt he had to be replaced along with Barry after we completed the Little Richard tour 1962. Embarrassing for me as Barry and his lovely mum let me stay at their house in Heston and he also found the musicians for the band. I managed to keep in with modern jazzers Dave and Glenn who would switch to piano and drums for swinging jam sessions Glen on drums and Dave on piano with me on bass. They would show me all the essential jazz licks and tunes. I am lucky that although a non reader of music my ear holes soon picked things up. Also I had taken an interest in guitar jazz chords a couple of years earlier. My bible was ‘The Mickey Baker Book of Jazz guitar chords’. That book enabled me to understand almost any kind of music standards away from 4 chord Rock n Roll. I got on great with Glenn who wasn’t a jazz snob like Dave and liked a bit of a laugh and he would say “Come on Tel!, Rock n Roll!” doing a bad Elvis impression singing a made up filthy lyric and waving his baritone sax around like a guitar. Glenn was a good friend and my fashion guru. He was a couple of years older than me at 21. We used to play snooker at an exclusive allnighter snooker club on Great Windmill Street and I have a memory of us leaving at 3.am New Years morning 1963 walking up a deserted snow covered Regent Street with just one set of tyre tracks from a taxi and throwing snowballs at the overhanging street decorations. Just to knock the snow off you understand. We both went to see the first Bond film DR NO. Sad that Glenn died so young in a fire accident while with the Georgie Fame band a few years later. RIP Glenn. I would sit with Jet at his parents house and go through tunes with him. He was the first to admit that switching from bass to lead guitar was going to be a bit difficult. It may be that to cope with all this his drink addiction took a turn for the worse. I came up with ideas like Peter Gunn and the Magnificent 7 theme for our first live tour and help with other stuff. I asked Jet if he would mind me switching from rhythm guitar to bass and he let me. I really wanted to be a bass player. The best thing I found about being linked to a top band like The Shadows was being taken to Jennings music store on Charing Cross Road and be GIVEN free gratis the instrument and amplifier of choice. In my case I picked a Fender Jazz bass and was recommended to try the first ‘Piggy back’ transister amp and bass cabinet fresh from the US. Later on leaving the band it hit me as I had to give it all back and buy a bass guitar and amp on Hire Purchase. One of our first gigs with Jet was at a ballroom with a revolving stage. facing the back wall and out of sight. Jet and us played the dramatic moody intro of the “Peter Gunn” theme as the stage would revolve slowly to face the audience. Halfway round guitarist Barry’s foot accidentally caught the mains plug leaving everything unamplified with just drums and sax’s playing into thin air. It was comical as the stage carried on revolving past the audience and back to where we started. Embarrassing as re plugged and looking less cool we had to make a second rotatating entrance…….. While with Jet we were looked after by Sam Curtis, a great bloke who was formally Cliff and the Shadows road manager . Sam drove a new white or cream coloured Commer Dormobile. That to me at that time looked almost space age. Hard to imagine this was the transport for the Shadows amplifiers and drums and now The Jetblacks stuff. As far as I remember we used microphones and P A amplification that was at the venues in those days. Sam’s real name was Schmuel Gurvitz. He was very proud that his son played with a band called The Londoners and later I find with Ginger Baker in the Baker Gurvitz Army. Being a northerner I had never truly experienced a London ‘Pea Souper’. There we were in ’62 with the Commer caravanette loaded with gear and the 6 of us having to get to a South West London gig. The Smog was so thick we had maybe six feet visibility. Leaving Jet’s parents house in Wilsden it proved tricky making our way to the better lit North Circular. After just a few yards Jet grabbed a torch and walked in front of the truck until we got there. He was wearing an expensive looking overcoat with velvet collar. I thought how odd to see this national pop icon briskly getting on with the job of road guide. Just for fun, Jet used to love driving along with the window open and wave at someone at a bus stop, ” Oi Oi!” as if he knew them and watching their reaction as they would wave back confused as he drove on. They wouldn’t have known in that instance that it was the famous Jet Harris of The Shadows. It felt very much like we were in the elite of pop music being with a hit recording artiste and under the top management of the Grade/Delfont organisation. 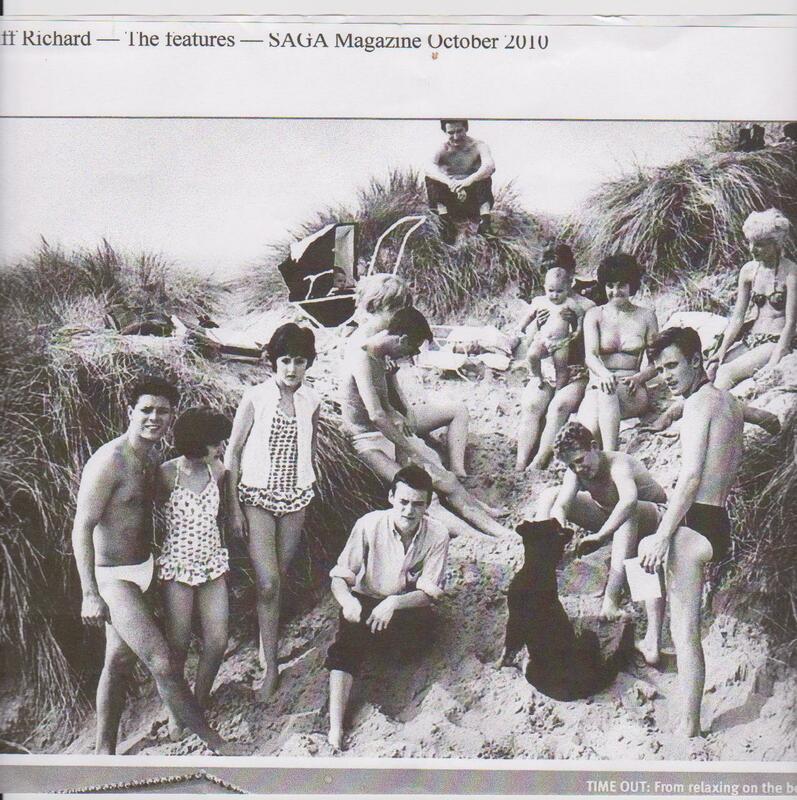 We had a manager Roy Moseley, tailored mohair suits by Dougie Millings, free instruments and amplifiers and we were on a £40 per week retainer whether we worked or not. That was quite a wedge compared with £5 per week as a van driver. A London bedsit was £3 per week rent to give an idea. Our first gig with Jet was at the Princess Theatre Torquay and a national TV slot on “Spot The Tune” followed by a trip by ferry to Amsterdam for a Dutch Television show. I cant remember what we mimed to. It was a first trip to Europe for the band and very exciting. Jet was a big star at that time and I was very impressed when he took me and my sister Patti to a more upmarket than I was used to Chinese restaurant on Edgware Road. They had a finger bowl? Wow! Luckily I didn’t drink it. We did have a bottle of wine at the table. To me and my sister that was something only the rich could afford. The bill came to £7.00 for three people. I had never seen that amount spent on a dinner before. You could say I was very much in awe. 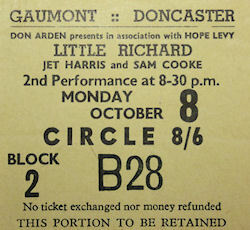 At last we were to join the Little Richard, Sam Cooke tour and conveniently for me the first show was to be at the Gaumont Doncaster just 20 miles away from home. I didn’t recognise Little Richard when I arrived at afternoon rehearsals. 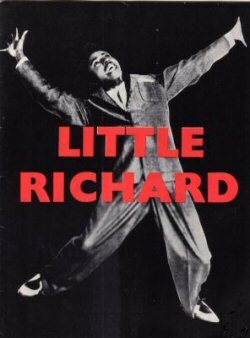 TV as it was in those days would only ever show a clip of Little Richard with a large mop of hair singing “The Girl Can’t Help It” from the film of that title, seemingly dwarfed by a huge grand piano. Here in Doncaster was this bigger round faced guy with short cropped hair singing gospel songs. 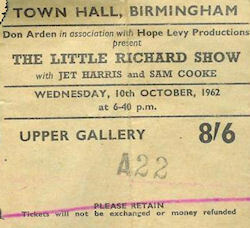 Richards intention was to do gospel/spiritual songs in his show rather than rock n roll? He had with him a young 15 year old Billy Preston to do the necessary organ accompaniment. 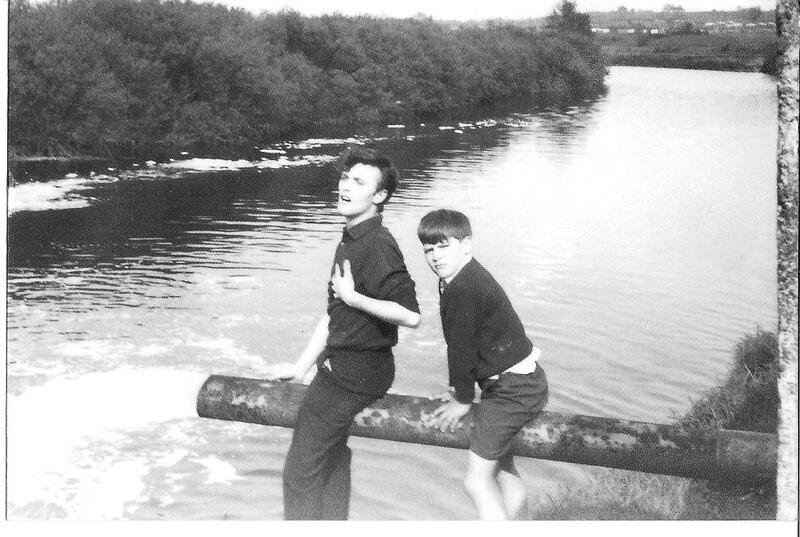 Billy’s parents had relented to let him come to the UK as it was not to do Rock n roll with Richard. After Richards memorable entrance from the back of the theatre and down the aisle in grand preacher style to the stage wearing a long white robe he eventually bored the audience to death by not singing his hits they and I had come to hear. 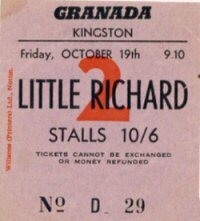 The promoter had to get through to Richard that it would be the “Kiss of death” for the show if he didn’t do his famed Rock n roll. 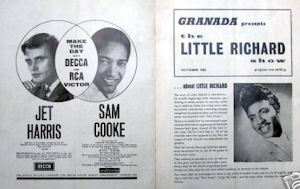 Apparently Sam Cooke was asked to talk some sense into Little Richard who had to relent and changed his routine to do what was expected. On the Little Richard tour bus Sounds Incorporated drummer Tony the bleach blonde haired drummer (A trend initiated by Jet) along with Glen our baritone sax player had make up applied to their faces by the Breakaways girl group. When we stopped at Aylesbury they jokingly minced off the bus to the chemists arm in arm complete with handbags to buy some ‘condoms’. Little Richards face was beaming. “Ooh they are Evil!”. He cried, sounding like a very camp preacher. I was too shy to ask for a pose with Little Richard or Sam Cooke. But I did ask for their autograph. Richard gave me his autograph and his address and told me to write to him in Philadelphia. This spooked me a bit and I didn’t keep it. Starry eyed I asked Sam to sign my copy of “Twistin The Night Away”he did so graciously but like an idiot in my nervousness just let him sign the record sleeve which I eventually lost. I still have the disc. If only I had camera in those days. But,it would be rather uncool in those circumstances. Pictures were usually grabbed by professionals assigned to the shows. As a shy 19 year old I was totally in awe of the main stars and only able to relax with backing musicians such as sitting on the tour bus with then unknown 15 year old Billy Preston or Sam’s guitar man, a gentle giant of a guy who I believe was called Cliff White. He told me he was on parole for a manslaughter charge due to some road accident back in the US but was allowed to do the tour with Sam. I was impressed as he told me his guitar work was on my favourite Sam Cook hits. “Twistin The Night Away” “Chain Gang” “You Send Me”etc. I did find the nerve to ask Little Richard if he had met Elvis and he replied.” I’ve met Elvis. He’s real pretty!” End of conversation. On the tour bus I would occasionally sit with a young 15 year old Billy Preston who was beyond his years in sexual talk and although 3 years older I was still quite a naive teenager. It amused him that I was a bit uncomfortable with certain subjects and he curled up on his seat pretending to sleep then poked a finger at my rear a couple of times,eyes closed with a cheeky smirk on his face. In true butch Yorkshire twang I shouted ” Gi ORR! which means ‘Give Over’ or ‘Give Up’ to posher folks. Naughty Boy! It was a surprise years later to recognise this was the same guy who would play on The Beatles ” Get Back” and a big recording star through the 70’s and 80’s. 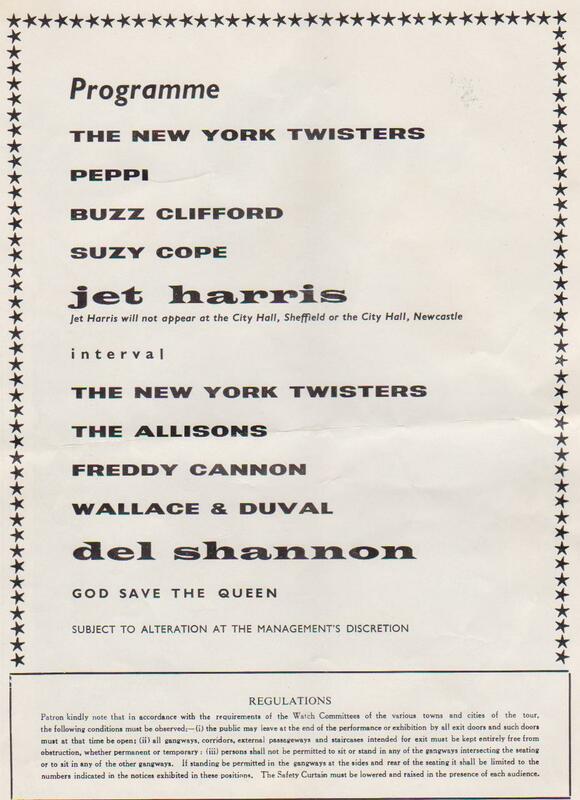 Jet was really angry as we hit Liverpool Empire, this unheard of group THE BEATLES had bigger billing in the theatre programme. “Look at this! Who’s these F****ing Beatles!! Look at the size of my name!”. “Yeah!” we all agreed…………………..Boo!. These upstarts stood in the wings sniggering as Jet dropped a few bum notes here and there, worse for wear after an earlier pub visit. A great memory on that tour was as our bus drove away from some town up in Lancashire was when someone amongst the American party started up singing the spiritual “Amen” and we were all compelled to join in with the hand clapping and chorus. 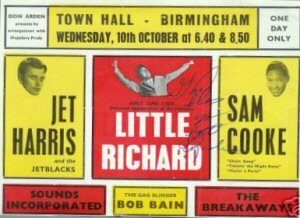 We were treated to ad lib verses from Little Richard and Sam Cooke like………”I ‘ve been to Birmingham Friday Night ! ” etc and relating to what had been goin on. If only I had a cassette recorder but they were quite an expensive luxury item in ’62 for such as me. I am the bass player on this film clip Line up: Me bass guitar, Jim Ellis Drums, Pete Carter guitar, Dave Quincey tenor sax, Glen Hughes Baritone sax. We were directed to stay very moody and static. I had to keep a spotlight focused on my left eye. “Action” Pete the guitarist sneezed and managed to strike a serious face just in time for the panning camera. The quick adjustment from sneeze to serious face tickled me. By the time the camera panned to me I was choking hysterics. CUT! Cried the director angrily. Quince the sax man mocked my “Wakefield monkey grin”. You stupid boy! I didn’t mind Jet drinking as it gave me the chance to drive him and my sister around in his brand new (The Saint) Volvo Sports car. In night time blizzard conditions travelling back to London on the A5, I was trying to keep up with Road manager Sam as he was scorching along in his Commer Dormobile I went into a skid across the trunk road and coming to a halt up an embankment. Jet slept through it to my relief. I reversed back and carried on. How different things could have been had the roads been busy or worse no embankment to slow me up. Could have been another Rock Star statistic. Thank you Lord! Glen Pete Quince Terry Jim and some kids. Jetblacks in Ireland Our new line up with Jim Ellis on drums was really beginning to gel as we toured Ireland with Jet but Tony Meehan decided to join Jet on the road after their number one hit “Diamonds”. Rehearsals began at The Roebuck pub, in Tottenham Court Road. This was the same rehearsal room we had used when auditioning drummers and guitarists to replace young and in experienced drummer Mick Underwood and guitarist Barry Lovegrove. Jazz musicians Glenn and Quince invited drummers well respected on the jazz circuit who had shiny kits and great drumming skills. The audition involved a jazz jam followed by a simple Rock n Roll test. They failed miserably on Rock n Roll. A friendly skinny 6ft 4″ eastender from Hackney called Jimmy Ellis came in and set up a borrowed ‘ Rogers’ kit that he seemed to dwarf. Jazz! Glenn and Quince nearly swallowed their sax mouthpieces as it swung like the clappers!. Rock n roll! The biz! Jim had been around the London scene for some time, his brother was also a talented horn player.. Jim got the gig and we became best buddies playing together for the next 4 years. Still good mates. Jim has lived Sweden for the last 30 years. Tony Meehan changed the line up, firstly of course dispensing with my mate Jim the drummer and also replacing guitarist Pete with Joe Morretti and Chris Hughes replacing Quince on Tenor sax. I have to say there was no indication that I was to be replaced but sheets of music were being dished out at rehearsals and these new guys seemed a bit more musically serious and so I offered my bass playing roll to a guy who was standing by called John Baldwin he later became famously known as John Paul Jones of Led Zep. One thing I learnt early on in the biz was the bitterness we ‘Rock n Rollers’ would face when in the company of what I refer to as serious musicians usually into Jazz. This had been an ongoing battle with our sax player Quince who let us know he hated Rock n Roll, though he did have his lighter moments. I found that my strong natural ear for music compensated for the lack of musical education.. A gift I noticed that many sight reading musicians lacked. Nowadays thanks to modern technology I can create orchestrations purely by ‘ear as my albums over the last 2 decades demonstrate.. Drummer Jim Ellis was very similar to me in that respect but could also read music and has been a great encouragement to this day. It was embarrassing on stage at times when Jet had a few too many. 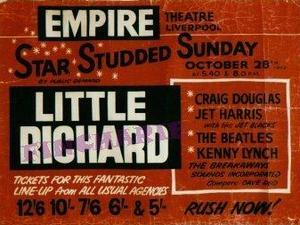 On The LITTLE RICHARD show at Liverpool Empire I remember the then unknown BEATLES sniggering in the wings of the stage because of Jet’s bum notes due to alcaholic fuzz. “You can laugh!” I sneared to myself. Knowing Jet was going straight to the pub on our arrival at Dunstable, the band made a pact to have it out with him if he did another drunken show. It was an embarrassing show for us at Dunstable California Ballroom. In the dressing room there was a full size snooker table, the atmosphere was tense but nobody spoke up. So quiet little me from Wakefield did it. I called him a naughty swear word on behalf of the band. Jet threatened to kill me. The band stood in his way as he tried to get at me circling the snooker table with me backing off as I am a non violent person. To my relief, the guys in the band still blocking Jets way. “Nah! Hit me!”. said Glen pointing at his chin. The manager burst in hearing the hullabaloo giving us a good telling off for being so rowdy and threatened to report us to our Delfont management. Fortunately Jet seemed to respect me more after that episode and we were okay the next day. We were at Bath City Hall when Jet heard ‘Diamonds’ was number one with Tony Meehan. 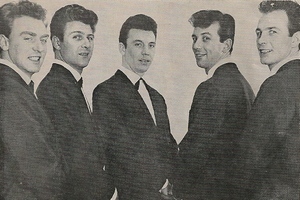 Tony at that point was happy being a record producer and would leave the touring to Jet and the Jetblacks. Jet opened a bottle of ‘champers’ for us to toast their hit. We would start to worry that a change was on the way……. After quitting the Jet Harris Tony Meehan band it reality hit me as I had to hand back the Fender Jazz bass and Amplifier. I then bought a custom made bass amp from a father/son business just off Wardour Street, the son being Pepi Rush. Speaker cabinets were screwed together in those days and would often work loose and rattle horribly. 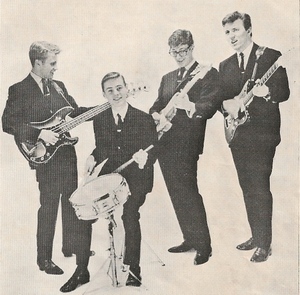 Mine rattled even more after letting this bass player chap called Jack Bruce borrow it while we were supporting The Graham Bond Organisation at the 100 Club Oxford street while I was a member of the Wes Minster 5 in ’64. Jack using a quite humble tone said quite in his Scottish accent he had just switched from double bass to bass guitar and didn’t have a bass amp/cabinet could he borrow mine. He blew the hell out of it he was so loud. Rattled me too but worth it just to name drop with that story. WE CARRIED ON AS THE JETBLACKS ex Jet Harris. Performing at Dance venues around the country. 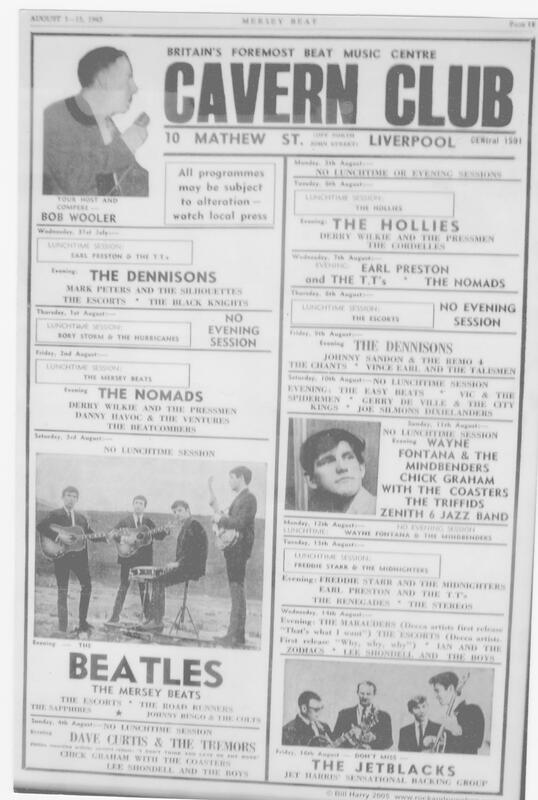 Although something to brag about now, performing at The Liverpool Cavern was a low pay gig for the not quite famous yet brigade. Beatles included. After their first hit their money doubled to £40 before becoming unaffordable. I bought this poster on the Internet recently.